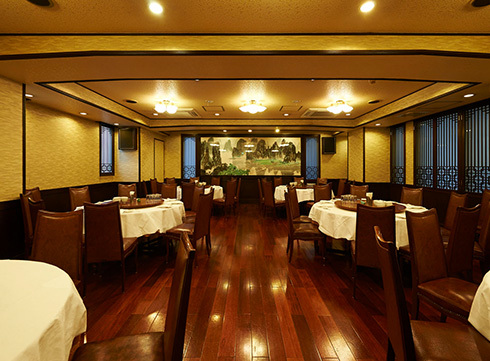 Canton Hanten, a popular Cantonese restaurant in Yokohama Chinatown. For specialty dishes, dim sum, and shark's fin, head to Canton Hanten. 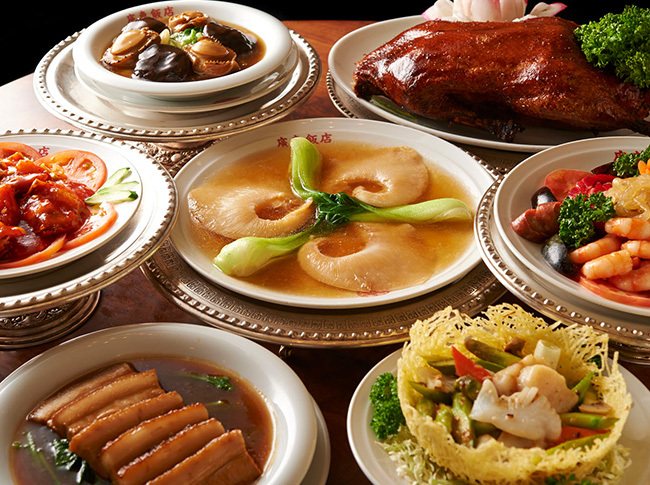 Ever since it first opened in 1961, Canton Hanten has brought authentic Cantonese flavors to countless customers. And among these many patrons, the restaurant sees lots of repeat customers from not only Japan but abroad too, including China, Hong Kong, and Taiwan. 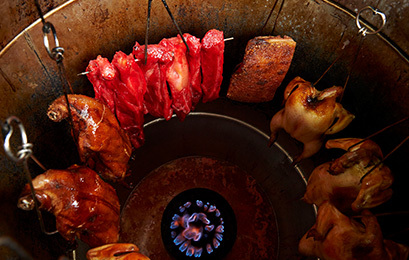 Diners can enjoy a wealth of dishes, including Canton Hanten's signature shark fin, as well as roast pork that has been chargrilled in a special kiln, and Peking duck, too. And in addition to these dishes, guests can enjoy handmade dim sum prepared by expert chefs. The menu also features a special selection of dishes packed with fresh ingredients that are only available during each season. The most popular item on the menu here has to be the braised pork belly. Canton Hanten is proud to serve this expertly prepared dish that has the mark of true excellence. Guests can enjoy everything from classic Cantonese cuisine to more novel styles of Cantonese cooking, all of which feature seasoning and ingredients that are unique to Cantonese-style cooking and make the most of each ingredient's rich, savory umami flavor. ※All-you-can-drink period may be extended by one hour for ¥1,000. This soft and tender braised pork belly has been a consistent staple of the menu ever since Canton Hanten first opened its doors. It features specially selected pork belly that is carefully cooked to the utmost perfection. This dish offers tender braised pork belly that you won't find anywhere else. Shark fin was reportedly first eaten in China during the Ming dynasty and is eaten as a delicacy in Chinese cooking. ※Drink menu is available for every type of occasion. and more, so guests can enjoy each meal with their drink of choice. for couples and small groups. Guest can relax and enjoy our deep-red sofas. Front desk and souvenir shop. 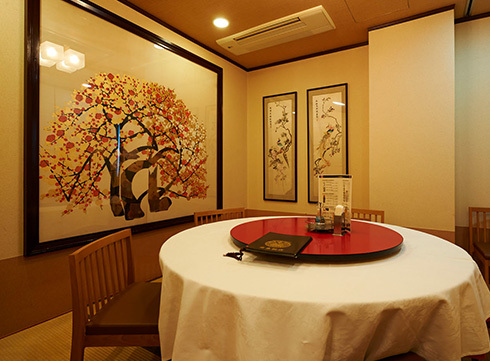 Dine together in a laid-back Japanese-style setting. Western-style room: 6-8 people per table. Western-style room, 6-8 people per table. Copyright (C) 廣東飯店 All Rights Reserved.